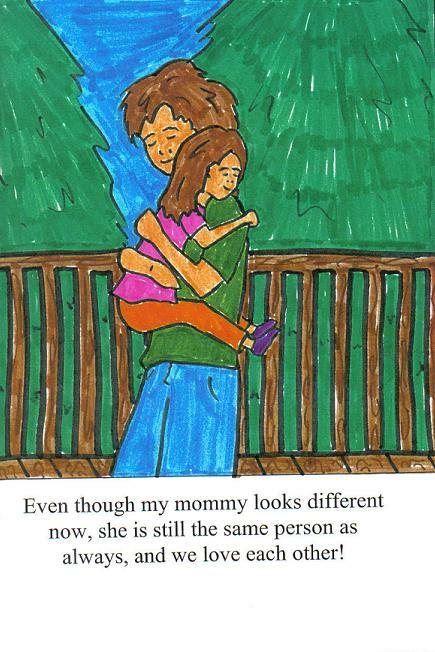 My Children's book is now for sale! Read more to find out details. **Book description: My daughter is 4 going on 5 soon. 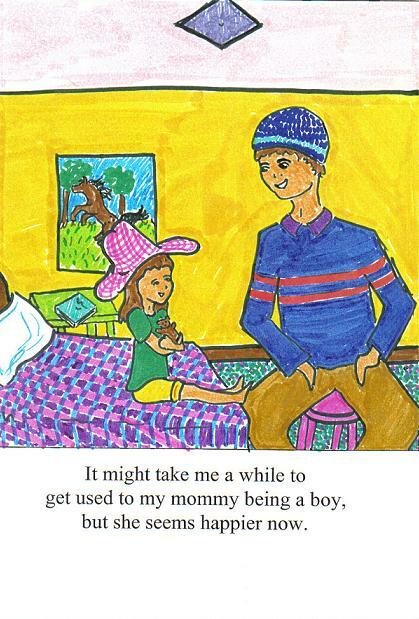 I created this book for her so that she can feel involved in my transition a bit. It's a short story told by her through my words, in the way she would tell someone else about me and my transition. Basically it's a children's story and it's supposed to help other kids with trans parents or a child that knows someone with a trans parent, understand that even though things are changing, everything will be fine and that parent will always love them reguardless. Hey everyone, I got an e-mail from someone suggesting I list my book on lulu.com so I did. Although I am not happy that I can't use my origional cover... I did this so that more people will be opt to purchase it. Thanks for your interest. I feel like the world is changing and theres nothing anyone can do about it. We change, we learn, we adapt... that's what we do. For the most part, people in the GLBT community get looked down upon, but one day... we will be equals in the world and being accepted is the best thing we could ever wish for. With that, we will have rights, benefits and our children will also gain a great deal of knowledge and diversity from our community, not that already do not... but many of the children who arent exposed to this community will be able to open their eyes and in turn, hate crimes should grow to be the least of our concerns. Afterall, children are our future. If you can't change the past... mold the future.